THANK you for once again attending your Company’s AGM in such large numbers. I have chaired public companies in South Africa for a quarter of a century and the AGM in each of these years could have been held in a local coffee shop. Very often not a single question was put to the board. 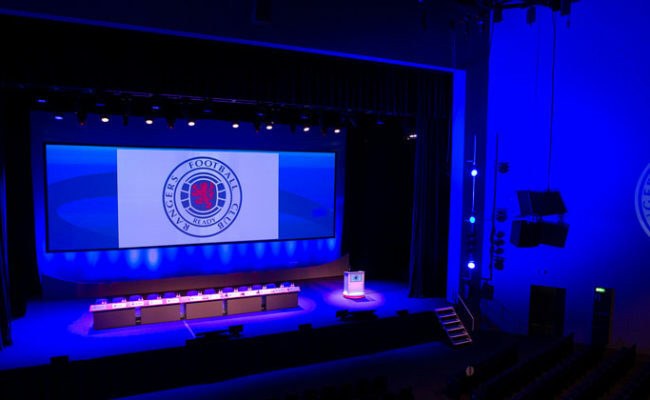 The Rangers AGM is the complete opposite and it is truly humbling for everyone on this podium to be able to come here and experience the passion and commitment that our shareholders give to our company and, in turn, to The Rangers Football Club. The AGM is the main forum for shareholders to hold your Board to account for the manner in which the business and financial activities of your Company have been conducted in the previous financial year. In the case of The Rangers International Football Club we are here to review the affairs of the Company for the financial year ended 30 June 2018. As you are all aware, the sole business of our Company is the operation and related activities of The Rangers Football Club Limited- which is a wholly owned subsidiary of the Company. As in prior years, much has happened since the financial year-end that is of interest to our shareholders and I will therefore repeat what I did last year by taking this opportunity to go beyond the year under review and touch on some of the post year-end events and activities. 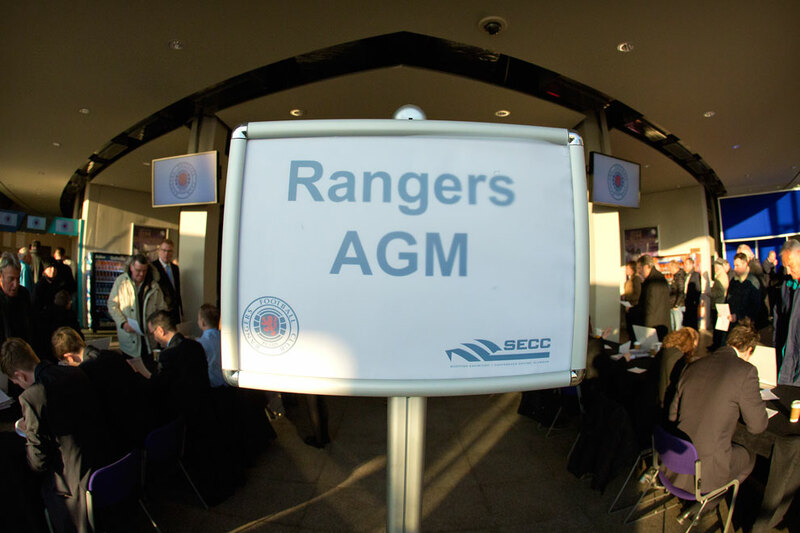 Before I conclude this AGM there will be an opportunity for shareholders to ask questions of the Board and the Club’s management. 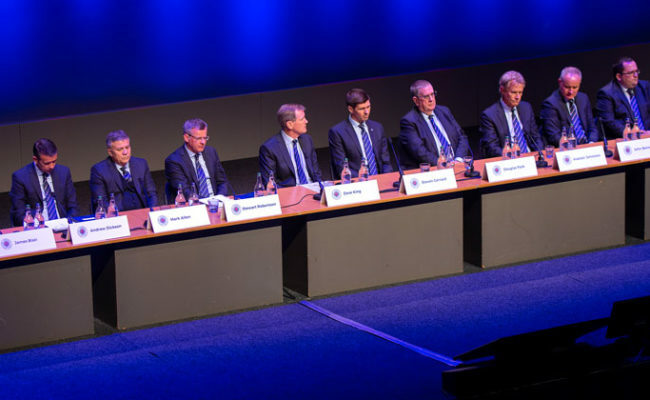 As can be expected of any football club many of the shareholder questions are addressed to the on-field football activities rather than the financial statements. It was therefore disappointing that last year, for the first time in the 150 year history of our club, we did not have a manager in place to deal directly with these football related questions. I am therefore delighted to welcome our new manager, Steven Gerrard, to his first AGM as he embarks on the journey to what I am certain will be an illustrious managerial career. I remind shareholders of what I stated at last year’s AGM. Our shareholder base includes many passive investors who are not supporters of the Club and who invested purely on the investment case that was made to them at the time of their investment. That is the complete opposite to the many thousands of supporterinvestors who are not even remotely driven by a desire to see dividends and a growth in the share price. I have previously outlined that the opposing investment philosophies could only be reconciled by the Board convincing the passive investor shareholders that it would be a value creating strategy to incur losses for a number of years as we rebuilt our Club. Our business model requires us to get back to our historical success levels as it is the only sure way to create sustainable value for all shareholders. Success on the pitch meets the needs of the supporter shareholders while simultaneously improving the overall value of the Club to the benefit of the passive shareholders. But, we cannot restore former glories without spending more than we earn for an appropriate period of time. Our supporter investors include almost 100% of those of you who are here today and I will therefore take this opportunity to give you an overview of our on-pitch investment andperformance during the last financial year. First, it is clear from the size of the loss that we incurred in the last financial year that the Board continued to meet its commitment made after regime change to step up the investment in the playing squad over the following three seasons. We started last season with a new manager, a new coaching staff, and a raft of new players including the flagship signing of a European winning centre back. The great disappointment is that our investment at the start of last season proved to be not fit for purpose. We embrassingly lost our Europa League first round qualifier to a team with an extremely modest European pedigree. The increased investment we made in the squad was not finalised early enough to be available to the manager at the time of the first Euro game– albeit most would have been available for the second round if, as expected, we advanced from the first round of games. But that didn’t happen which resulted in a substantial financial blow to the Club as well as generating an ongoing “anxiety factor” between the team and our supporters that carried forward into the domestic season. Unfortunately, domestic performances continued to be poor during the first half of the season and reached a point where the Board considered that the resources we had available to us would not be able to turn things around. We reluctantly parted ways with a manager who had worked tirelessly on behalf of the Club and, under the guidance of Mark Allen, we conducted a complete review of the processes that we had been employing to support the appointment of players and coaching staff. There was clearly something missing as we were signing too many individuals that were not performing for us at the level that we had expected based on their record before signing for us. The impact of not getting the best out of our investment in players is doubly problematic. Not only did we lose out on performance on the pitchweek in and week out, we also lost value when trying to move players on as they were not perceived to be successful at Ibrox which damaged their value to other clubs. This meant that the Board was continually having to provide new funds for player arrivals while getting zero or very low values for those going out. That poor quality transfer activity could not continue without threatening everything we have sought to build over the last three years. Put simply, the difficulties that the Club endured over the last decade had resulted in us slipping from best practice in our recruitment policy and in our physical and psychological monitoring of our players. We were very much old school in a modern world and we needed to catch up quickly. Mark recommended a radical overhaul that was in line with best practice as he had witnessed it in the EPL at his previous club and at other EPL and European clubs that he had interacted with. Mark’s proposal was unanimously adopted by the Board and was approved for immediate implementation. I won’t go into everything that this overhaul entailed but I do want to touch on one important aspect that was introduced and that has proven to be immediately beneficial. In the long history of the Club we had never performed any formal evaluation of what I will simply call the character of the players we were signing. There are many components that contribute to a man’s character and that are absolutely essential to have in any successful team in modern day football. Unfortunately, too often we have signed competent footballers who were overawed by the experience of the must win demands of a full house at Ibrox and were never able to overcome it and perform to their natural ability. It was no surprise therefore that we were getting nervous and tentative performances at home and more assured performances at away games where the pressure was much less intense. 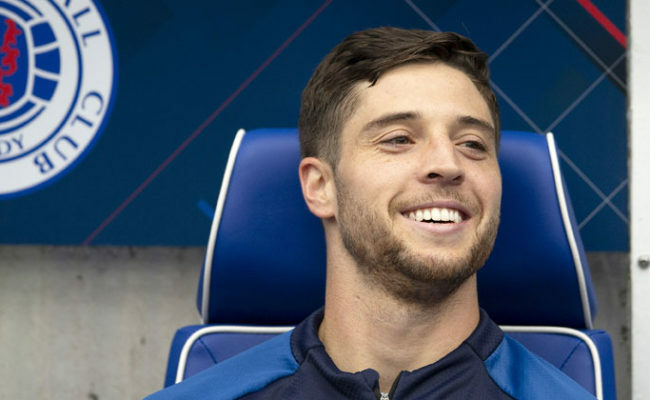 Certain personalities just don’t function at an optimal level at a Club such as Rangers where the pressure to perform is intense and relentless – while others thrive on it . We have now invested in a process and in structures that help identify the personal and the playing qualities that each new signing brings to the Club, to the team and to the overall team environment. We will not always get it right but there has already been a huge improvement in our overall player profile since we made this vital change. That bodes well for the investment value of the playing squad in the years to come. Of course, the changes to the playing personnel are closely linked to the most important employee in the Company from a supporter and investor perspective – the football Club manager – who is the ultimate custodian of the larger part of the funds invested in the Club. We needed to find a modern minded manager who understood what it took to win in the modern football game. It proved extremely difficult to identify a pool of potential managers who were winners in a modern football environment and who understood and embraced the need for modern sports science, better diet profiling, ongoing player performance monitoring, identifying potential fatigue situations and the resultant higher risk of poor performance and injury – and many more interventions of that nature. The Board was extremely conscious of the murmuring from supporters and the noise in the media to make a permanent appointment, but we were unable to identify a single individual available mid-season who the Board collectively felt met all of the criteria that we had set out as desirable in a candidate. It also goes without saying that many of the individuals who applied for the position were only available mid-season because things had not worked out in their previous position. That is not a problem in itself, but is something that required careful assessment. Ultimately, the Board was delighted to be in a position to put our investment over the next few years in the hands of a young manager who massively offsets the fact that Rangers is his first senior job, by ticking all the other boxes we were looking for in a manager. Steven is an out and out winner in his career to date and we look forward to creating new winning experiences for the manager as he continues to mould and improve his squad. Steven has brought a tremendous support team with him and collectively they have progressed more at this point in time than could realistically be anticipated of an almost completely new squad of players combined with a new management team. For the first time over the last few years I believe that investors can start to see value being created in our squad. In addition, we avoided a repeat of last year by ensuring that we did as much of our transfer activity early on to ensure maximum availability for the first Europa League qualifier. With the likelihood of a continuation of early European fixtures in the years ahead, Mark and Steven will continue to plan well in advance to ensure that our key targets are signed as early as possible in future seasons. On the point of squad value, it is important that I address the further significant progress of our Academy under the guidance of Craig Mulholland and with the full backing and support of the manager. 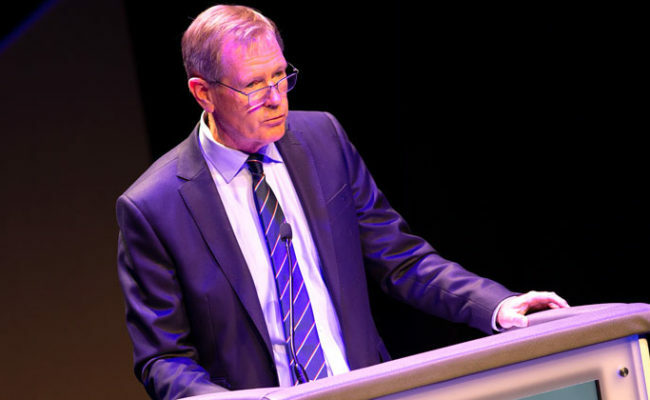 One of the key pillars of the Board’s strategy following regime change was to create a successful Academy to obtain, not only the unquantifiable value of the feelgood factor whenone of our own young players contributes to a successful Rangers team, but also a business model which is successful commercially. Following three years of innovation and positive change we are now reaping the first returns onthis significant investment. In just over a year we have seen four Academy debuts in Ross McCrorie, Glenn Middleton, Stevie Kelly and Serge Atakayi- three of which have been under the new manager. Ross and Glenn have now amassed more than 50 combined appearances and have contributed to winning Rangers teams at the top end of the SPFL and in Europe. In addition to the normal checks and balances that the Board uses to evaluate all areas of our business, we subjected the Academy to an independent audit by Belgian company Double Pass which audits Academies in the top clubs around the world, including the EPL. The Rangers Academy scored 88% which was the highest score in Scotland and significantly higher than the European average for clubs of our size. This independently confirms the quality of the high performance environment we have created over the last three years. We also now have an impressive 32 youth international players representing their countries from under-16 to under-21. This is almost double the number from when we started the project. Our innovation continues with our 12 to 16-year-old kids at Boclair Academy now reaching 18 hours of contact time per week. In the last year we undertook a radical European games programme for our under-19 players. This games programme resulted in wins over the likes of Bayern Munich, Valencia, Villarreal, Benfica, AEK Athens, Copenhagen and Club Brugge to name but a few. We also had draws with the likes of Manchester City, Manchester United and Feyenoord. The biggest win however was the learning opportunity for our young players. Our Academy has received positive acclaim in football circles both internationally and domestically and this demonstrates the innovative and radical thinking we are undertaking to develop our own talent. All of these statistics and initiatives tell us as a Board that we are at the start of something special in the Academy. Steven has already taken 23 Academy players to train with the first team this season. And, with a Director of Football who also has a strong Academy background, we believe we can now finally provide our young players with a genuine pathway of aspiration and opportunity. On a business trip to Hong Kong in May I took the opportunity to watch the Academy reach the final of a tournament and what struck me, in addition to being delighted with the quality of our football, was the humbleness and discipline of our players off the pitch. In line with the traditions and high standards set at this Club throughout our history it is important that we produce good people with strong values who are also top footballers. I believe we are well on our way to doing this. On the balance sheet side we made further improvements and refurbishing at Ibrox and The Hummel Training Centre to ensure that they remain world-class facilities. This included a new state of the art pitch that was commissioned in the financial year under review and was recently completed. The players can now train and improve their skills every day on the best surface available. We continue to be envied by other clubs for having such a magnificent debt free stadium and training facilities. Our commercial and marketing function has seen the benefit of the return of Rangers to top level football and this is now being reflected in the value we are able to attract from our commercial partners at the various levels of relationship that we have with them. Unfortunately, Sports Direct has again done its best to interrupt our retail operations by engaging in the type of litigation that they are by now famous for. In my opinion, they use urgent and interim proceedings so that they can drown the court in papers that cannot be adequately reviewed in time. This allows them to get interim relief pending a full ventilation of the facts. In the final analysis Sports Direct has consistently failed with its bullying tactics and I anticipate a similar outcome to the present litigation. Overall, our commercial activities continue to provide greater revenue and profit for the Club but we need to be challenging at the top of the Scottish Premiership and be consistently back in Europe beyond the qualifying stages before we can generate the levels of sponsorship that a club of our size and history ought to achieve. 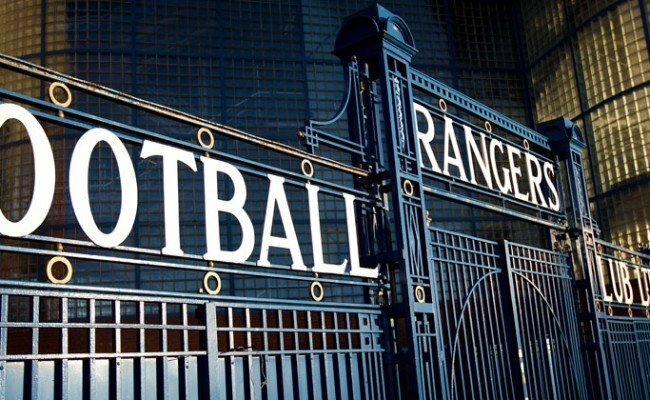 Sunbsequent to the year end our supporters, through Club 1872, further increased their shareholding in the Club and we will continue to engage with Club 1872 to participate in future share issues or other opportunities where an existing shareholder might want to exit- as previously happened with Mike Ashley. The Club management enjoys a fruitful and constructive relationship with the officers of Club 1872 which assists in amicably resolving the issues that Club 1872 raise with the Club from time to time. I also want to give recognition for the work being done by The Rangers Youth Development Company. The Rangers Youth Development Company profits are channelled to Rangers Football Club’s youth programme – with close to £8 million having been provided to the Academy in the last 16 years. A growing portfolio of products have been introduced to generate funds, including Rangers Lotto, Rising Stars, Scratchcards, Stadium Bricks and the Youth Members Club. They also recently re-launched Rangers Pools – with profits from that venture going to the club exclusively for the upkeep and maintenance of Ibrox Stadium. Thousands of supporters participate in Rangers Youth Development Company products every week and it is this backing that enables the company to make such a substantial financial contribution to the Academy – the results of which I have already referred to when talking earlier about the Academy success story. We thank The Rangers Youth Development Company for their continued commitment and thank our supporters for their backing to achieve this. I also make special mention of the Rangers Charity Foundation. Supporters are at the heart of everything we do at Rangers, and this is never more evident than in the life-changing work of the Rangers Charity Foundation. The Foundation’s core mission is to be a force for good on behalf of the Rangers Family and, for the last 16 years, it has shown compassion, tackled inequalities and created inspiring opportunities for people – both locally and around the world. This season, we’re incredibly proud to be celebrating 10 years of the global partnership with UNICEF. Together, we have reached well over 1 million children with life changing assistance in the fields of education, health and support in emergency situations. Closer to home, being part of the community around Ibrox and across Glasgow is integral to the Foundation. 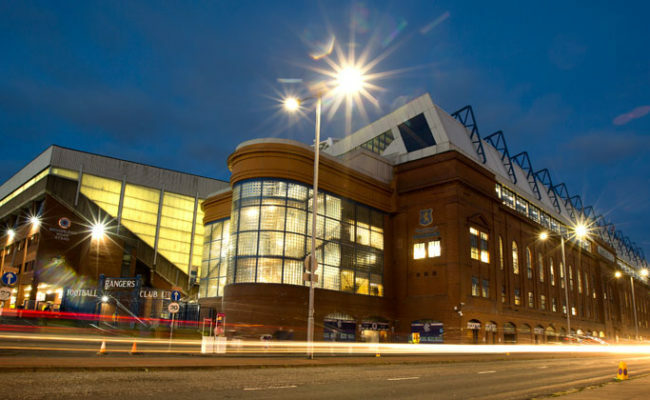 The Big Ibrox Sleep Outs return this week, with over 300 supporters due to take part. We will once again provide assistance to Glasgow City Mission’s winter Night Shelter, which provides a warm, safe place for those who have no alternative to sleeping on the streets. During the last financial year 6000 people were reached by over 20 community programmes focused on education, diversity and inclusion, employability and health and wellbeing. As well as working in over 60 schools, the Foundation established its first ever Hub in the Community School which sees a full-time staff member working in Govan High School on a variety of projects. Over £260,000 of in-kind support was also delivered. The quality, depth and sheer diversity of the Foundation’s work is truly unique and we hope that you will all join us in continuing to help them act as a force for good on behalf of Rangers. An area of the Club that will receive more attention from the Board in the coming year is our women’s football section. With everything else that has been going on at the Club we have not given enough financial and other support to our women footballers who also proudly represent our Club. Initiatives are being put in place to redress this historical imbalance and to assist the women’s section to be intergrated more effectively into the overall football structures. In fact I can add that at the board meeting yesterday, we committed to tripling the investment in this area. Before closing and moving on to question time, I want to take this opportunity to pay some personal tributes. As we all know, we could mot be running a loss-making business without funds to subsidise the losses. The funds required have been provided by myself and other key shareholders who have continued without hesitation to provide more interest free loansthan we had originally thought necessary. We are extremely fortunate that we have individuals willing to do this and I pay special thanks to each of Douglas Park, John Bennett, Barry Scott and Julian Wolhardt who are also members of the Board and George Taylor, George Letham and Andy Ross who are not represented on the Board. I also pay tribute to members of the Rangers family that passed away during the last year. We give our thoughts and best wishes to the families of Ray Wilkins, Neale Cooper, Johnny Hubbard and Harold Davis. They were all absolutely astounding Rangers players. I would also like to express my gratitude to my colleagues on the Board of the Company and to the directors and management of The Rangers Football Club. I thank each of you for your continued support and dedication to our Club. It is often unrewarding work and it is a tribute to your love for our Club that you continue to provide your services without any compensation whatsoever. It is truly appreciated. My frequent visits to Glasgow and my almost daily interaction by email and phone allows me to stay in touch and get involved in all major decisions at the Club, but I felt that it was beneficial to have a main Board member who could have a more direct link on a day to day basis with the Club management. I therefore give a special thanks to Douglas Park for accepting my invitation to step up as Deputy Chairman and to perform this role. His quick and ready counsel on issues that arise has already been of great value to Stewart and myself. Thanks Douglas, for agreeing to assist me. Finally, I want to thank a man who to my mind is a true Rangers hero. For the second time – and at great personal anguish much of the time – Graeme Murty put the Club ahead of himself by taking on the extremely difficult role of interim manager for a prolonged period and under challenging circumstances. Graeme, I am extremely grateful for your sacrifice and for your decision to continue to help the youngsters at the Academy despite your disappointment. You are my man of the year. I will now open up the meeting to questions.